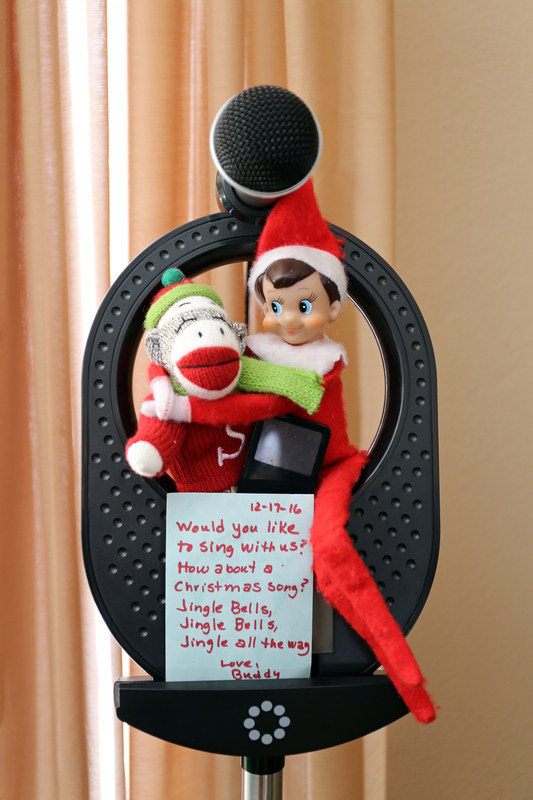 Buddy and Sock Monkey sang a little karaoke on day seventeen. 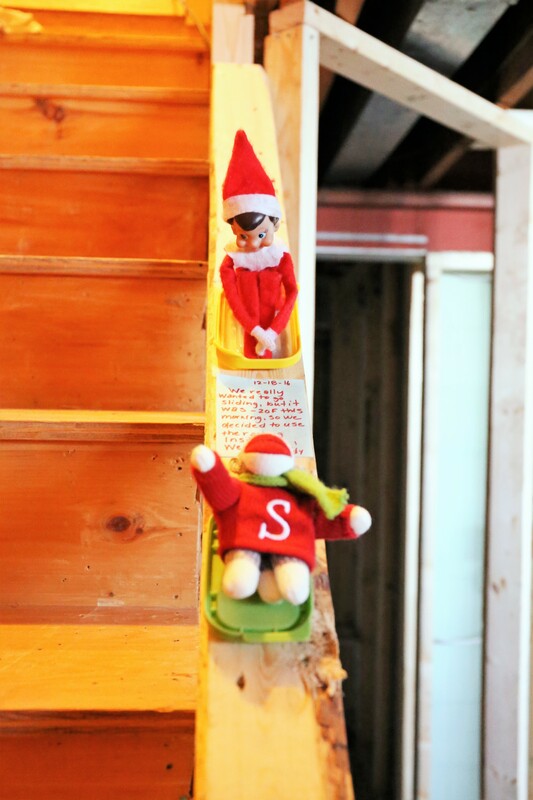 Buddy and Sock Monkey were sliding down the railing in our “under construction” basement on day eighteen. 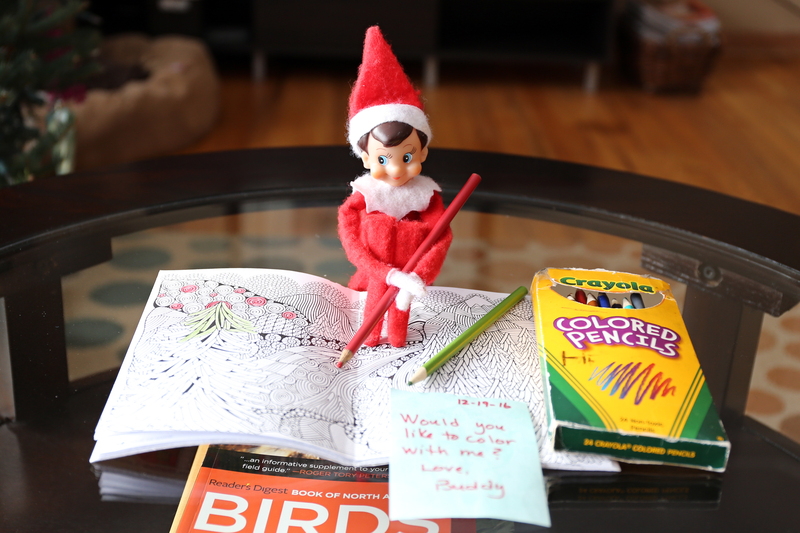 Buddy pulled out the colored pencils and a coloring book on day nineteen. Buddy hopped aboard the Christmas Tree Express on day twenty. 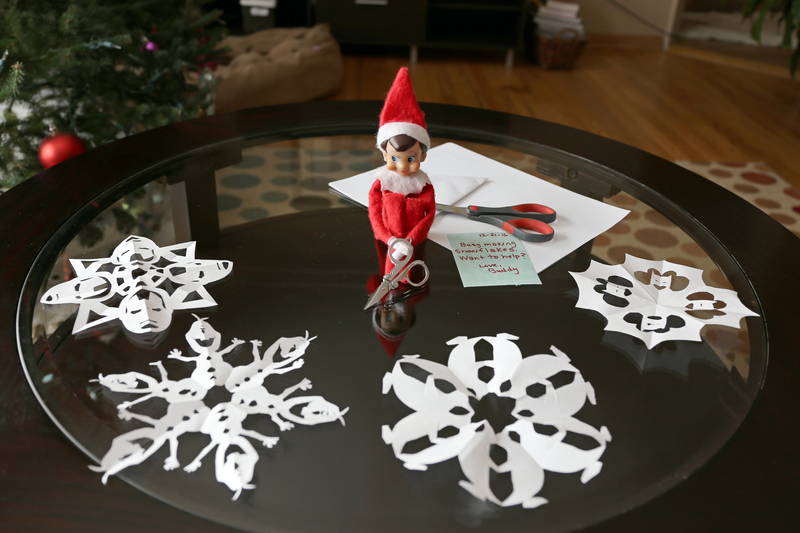 Buddy was very creative on day twenty-one and was found cutting paper snowflakes including Olaf, Iron Man, Batman and penguins. 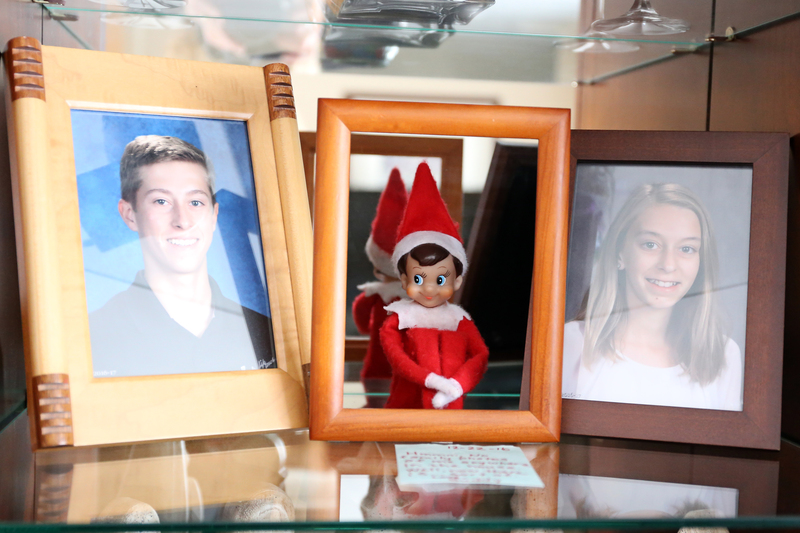 On day twenty-two, Buddy pointed out that there were no photos of him in the house and decided to put himself in the frame. 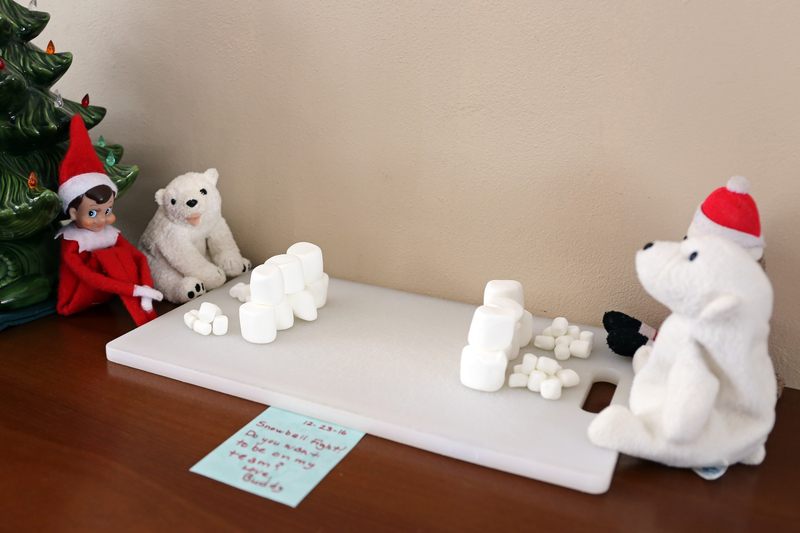 Buddy, Sock Monkey and the Polar Bears had a snowball fight on day twenty-three. 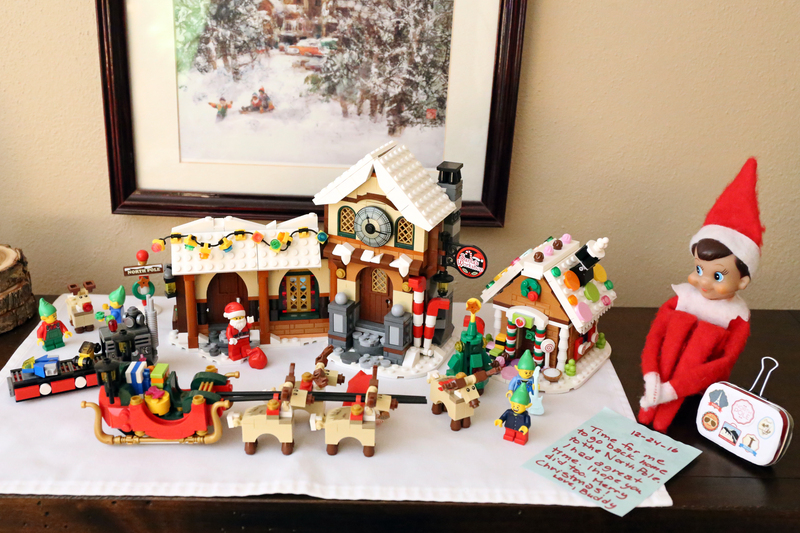 Buddy packed his suitcase and was ready to head home to the North Pole on day twenty-four. It’s been a great December. Have a safe trip home, Buddy!